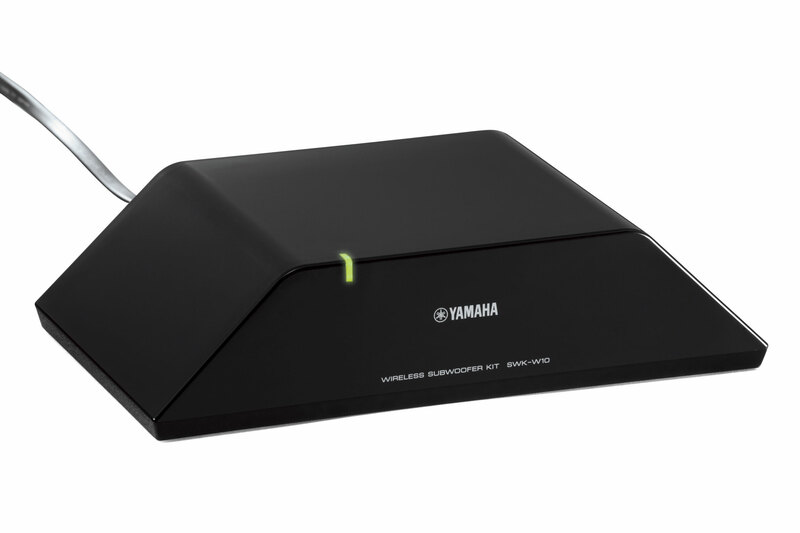 The SWK-W10 is a wireless subwoofer receiver for use with select Yamaha products. It employs the Yamaha yAired technology to establish a wireless connection with another Yamaha product that supports yAired and enables you to enjoy bass sounds from your subwoofer without running a long subwoofer cable. Connect the SWK-W10 to your powered subwoofer using a subwoofer cable and you can enjoy bass sounds from your subwoofer that are received from a supported Yamaha product that also supports the Yamaha yAired technology. Also, since the power and volume level of the subwoofer are controlled in conjunction with transmitting-side operations (Yamaha “yAired” technology), this unit provides a simple operation without the need for adjustments. This product is included with the YSP-5100 and YSP-4100 Yamaha Digital Sound Projectors. This product is an optional accessory for the MCR-140 mini-system. 4-7/8" x 2-1/4" x 4-7/8"